TODAY’S GREENLAND PADDLE ~ a modern take on a traditional kayakingsymbol. 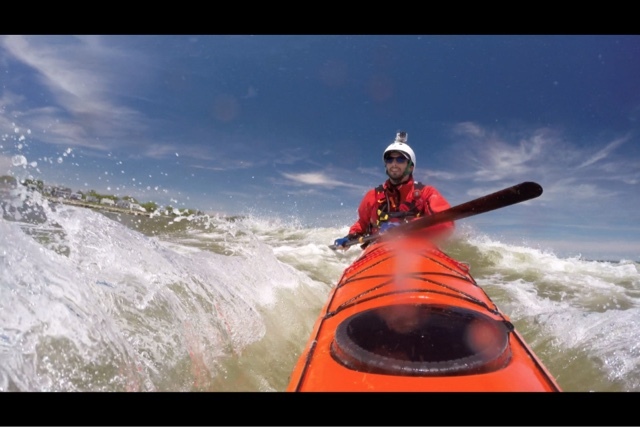 by Luke Rovner - Kayak Hipster | DBP MAGAZINE ONLINE The World's Best Free Whitewater Publication. Some might say nothing is sweeter than feeling the wind on your face, your blade catching the water, and being at peace with the sea. Yet our sport – and hobby to many – used to be a matter of life or death at its origin. When the Inuits and Aleutians headed out into frigid waters in handmade skin-on-frame qajaqs, hunting for survival was the only motivation. And although kayaks and paddles have come a long way since then, for some, skin-on-frame and a single piece of wood is still the way to go. Traditional paddling continues to grow worldwide, and tons of kayakers take pleasure and pride in honoring its origin. My interest in Greenland paddles began with rolling. Sure, I had tried friends’ wooden Greenland paddles and they seemed nice and all, but I didn’t really understand their potential until I began rolling with them. After becoming an instructor armed with the usual rolls, I wished to continue learning. 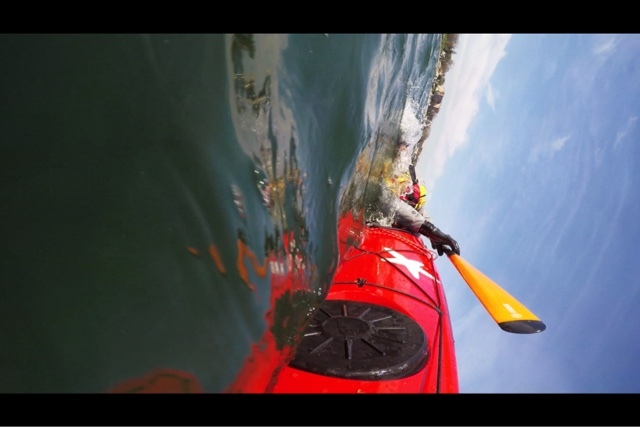 I watched Greenland rolling videos and loved the idea of being able to come back up after a capsize from any position, with or without a paddle. 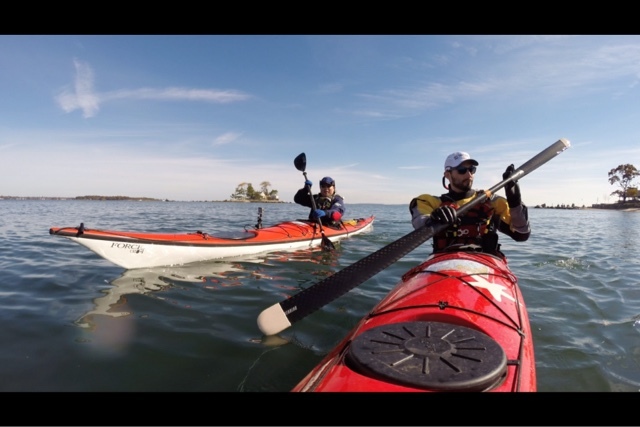 I began teaching the roll with Sea Kayak Connecticut, and had a little bit of pool time to myself each week throughout the winter. I decided to try rolling with a Greenland paddle, and boy, did it open my eyes. The first time I did an extended layback sweep roll, I thought I had gotten the blade stuck on the edge of the pool. The amount of buoyancy and the ease to sweep astounded me. It felt like cheating. You see, unlike the euro blade, the Greenland paddle is symmetrical on both sides. So when you sweep, it’ll try to orient itself correctly each time. 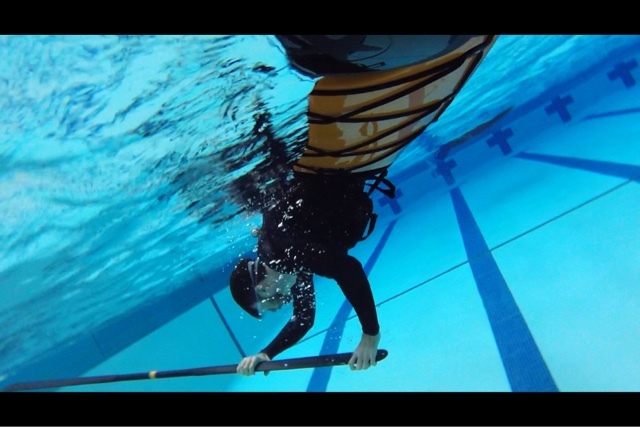 On a euro blade, one must be careful to maintain a climbing angle during a sweep roll, otherwise the blade will dive and so will you… But with the Greenland paddle it felt as if it was stuck on the water’s surface. Another reason for that phenomenon is that its surface area is distributed along most of the paddle. On the euro blade, that surface area is found on the blade, at the end of the shaft. So as you sweep a Greenland paddle around, essentially its entire length helps you get leverage. It also has shoulders, which allows you to feel the paddle’s angle easily. After that first roll, I was hooked. I began attempting different rolls, and realized how forgiving it was. My confidence increased and my technique improved. When I switched back to my euro blade, I focused on matching what I learned with the Greenland paddle. I want to note that the type of paddle used is not the reason a roll works. It’s the technique behind it. I found that every roll done with one can be done with the other, it’s just that the Greenland paddle, to me, feels more forgiving and therefore easier for learning new rolls. As the weather warmed up, I paddled out more often and found myself using the Greenland paddle more and more. On long trips I realized I would come home less tired and less sore than with my euro blade. I should mention that my euro blade is a Werner Ikelos – which I love. The Ikelos is a high angle paddle with a monster blade. After long hours out on the water with it however, I would often come home feeling beat. I thought about switching to touring or a smaller blades, but I just didn’t feel they had the right amount of support when bracing. The Greenland paddle hit the spot. Each stroke felt a bit easier on my body and was super buoyant for bracing. I won’t be hanging up my Ikelos anytime soon though. When I need a lot of power fast, I’ll continue using it. But for long days of touring, it’s no contest. Greenland paddle all the way. Now let’s discuss how I chose my particular stick. At first I thought about making my own out of wood. The Greenland paddle is meant to be held everywhere along its entire length, so it has to be made specifically to fit your body. Its length, thickness, loom, paddle width, all need to match you. At the same time, I wanted a two piece for ease of transport. After researching many companies and different types of materials, I found Gearlab and loved their story. A group of kayaking engineers based out of Taiwan didn’t love what was on the market, and decided to make their own carbon fiber Greenland paddles. I found very positive reviews and was convinced enough to take a chance. My first carbon paddle was a Kuroshio model. It is based on a traditional Greenland design. It has high shoulders and round tips. From the first day out on the water I loved it. It felt light, forgiving, and as I already mentioned, very buoyant. I found it really cool to have a paddle that combined an extremely old design with a modern material and process. Recently the guys at Gearlab were kind enough to send me their latest model, the Nutilik, to test and review. I thought I liked the Kuroshio. I like Nutilik even more. The changes are subtle but meaningful. They’ve made the loom (the middle, tubular part of the paddle) a bit wider, which fits my body better. The shoulders are a bit less pronounced, making the grip more comfortable while allowing the same control (the way to hold a Greenland paddle is by having your thumb and forefinger around the loom, and the next three fingers on the shoulders). On the water it feels slick, with a very smooth catch. It rolls beautifully. Lastly, they created replaceable plastic tips. This is a huge advantage. Greenland paddles are very long. You will often bottom out and hit rocks when paddling in shallow areas. It’s great to know that I can replace a bit of plastic rather than worry about scratching up an expensive carbon fiber paddle. Add to that a killer, highly visible paint job and I’d say I’m sold. Well done team Gearlab. I’d like to give a huge thanks to the guys at DBP for letting me nerd out on kayaking gear for a bit with you guys. 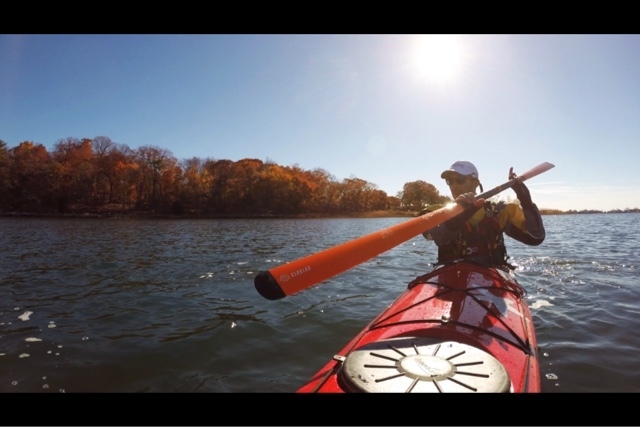 I hope this piece was informative on the Greenland paddle’s history and strengths, as well as one of the companies that decided to make a modern version of a traditional kayaking symbol. If you’d like to learn more about Greenland paddles and traditional kayaking, http://qajaqusa.org/ is a wonderful resource. You can even learn how to make your own paddle with detailed instructions on their site.